The essence of constitutionalism is mostly described as submission of political rule to law. This is certainly correct, but it is not sufficient to characterize constitutionalism. Submission of politics to law existed long before constitutions emerged. However, the laws that pursued this goal were not called “constitution”. The word existed, but had a different meaning. It designated the factual condition of a political entity as shaped by its geographic situation, economy, power structure, its laws. In this sense, it was a descriptive, not a prescriptive term. Laws that referred to political power were mostly called leges fundamentales, whereas the term constitutio designated certain laws enacted by the Emperor, like the Constitutio Criminalis Carolina. The leges fundamentales usually had a contractual basis. They were the product of agreements between the ruler and privileged classes of society. As such they presupposed the ruler’s right to rule and were confined to limiting it in certain aspects. They were valid only among the parties to the compact, not generally. 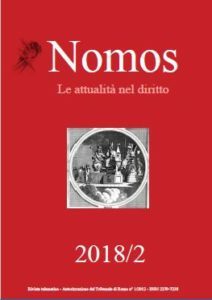 Questa voce è stata pubblicata in: Nomos, Saggi	e contrassegnata con Convegni, Dieter Grimm, Nomos 2/2018, Passato, Presente e Futuro del costituzionalismo e dell'Europa. Contrassegna il Permalink.